Portugal has largely assuaged fears it is the euro zone's weakest link after Greece, although it could still be stung if a confrontation between the left-wing government in Athens and European creditors ends in "Grexit". At the height of Europe's debt crisis three years ago, the two countries were often bracketed together. But nearly a year after Portugal exited its bailout, and with its economy growing, they seem worlds apart -- politically, socially and financially. Lisbon said this week it would seek to repay early 14 billion euros (10 billion pounds) of its bailout loan from the International Monetary Fund, while Athens needs more money. Perhaps the clearest sign of divergence is that Portugal's centre-right government is acting more like a tough northern European creditor, defending austerity. "Europe has an interest and duty to help Greece to overcome its problems, but it cannot do that no matter what," Prime Minister Pedro Passos Coelho said this week. Economy minister Antonio Pires de Lima told Reuters last week it was natural that Lisbon should insist Greece follows through on reforms as Portugal had asked its own citizens for years of sacrifice under the 78 billion euro bailout. Portuguese newspapers still follow every twist and turn of the Greek saga, but the fear of contagion has ebbed. On Wednesday, Portugal issued 10-year bonds at a record low cost of borrowing of 2.51 percent -- less than the secondary market yield in December, before the political crisis that brought left-wing Syriza to power in Greece. Greek yields are around 11 percent. Portuguese politics meanwhile remain dominated by the traditional parties of the centre-left and centre-right. Unlike Greece, where the crisis spawned Syriza, and neighbouring Spain, where anti-austerity Podemos leads polls ahead of elections this year, Portugal has seen no radical party garner any considerable share of voting intentions. "Nobody is talking about Portugal," said Antonio Barroso, senior vice president at Teneo Intelligence in London, referring to any potential impact from Greece on Lisbon. Barroso said the time for the emergence of a strong, anti-austerity party in Portugal had passed, reducing political risk. "I think they really lost the opportunity when the troika (of European Union, European Central Bank and IMF lenders) was still in town," he said. "If a fresh face had taken advantage of that opportunity then, maybe, but at this point I think it's tough." That means Portugal faces a smoother political ride ahead of elections due in September or October. Even if the opposition Socialists were to win, they are likely to continue budget consolidation, political experts say. "If Greece left the euro, there would be an impact on Portugal. Everybody would say 'who's next'?" said Filipe Garcia, head of Informacao de Mercados Financeiros economic consultants in Porto. "We can't forget that Portugal is in a better situation, but we shouldn't forget either that Portugal has a debt load of 130 percent of GDP." Analysts say that a strong rally in Portugal's debt has been driven by the ECB's plan to launch quantitative easing in March. Its bonds' eligibility for the plan relies on the 'BBB' investment grade rating assigned by one credit rating agency, DBRS, however, with major agencies rating Portugal as junk. Eurasia Group analyst Antonio Roldan Mones said in a recent report that a downgrade by DBRS was unlikely due to Portugal's improving fundamentals. "In the unlikely scenario of a downgrade, Portugal would have to sign a new adjustment programme to access the ECB's quantitative easing," he added. Nicholas Spiro, managing director of Spiro Sovereign Strategy, warned the calm may be deceptive and that, if Greece left the euro, Portugal would be "the most likely candidate, by a long shot, to suffer the repercussions". Thousands of people took to the streets of Lisbon in a day of protest against austerity and called for the government to step down. The demos rolled out across several main cities in Portugal against the government’s austerity policies which continue in order to restore the country’s economic health. Portugal exited its bailout last May, but the government has resisted the temptation in an election year to ease up on reforms begun as part of its international loan deal. The annual budget for 2015 showed that the government intended to cut its budget deficit to 2.7 percent by the end of the year. Trade unions argue that the country is in worse shape than before the international loan deal. It comes as the centre-right Prime Minister Pedro Passos Coelho weathers a financial scandal. He has come under fire for failing to pay his taxes on time, a charge he denies. “I don’t have any debts to the tax service and if in the past, in relation with the fiscal administration, I declared and paid taxes past the deadline, I had to pay fines and interests like any other citizen,” he said. However, some media reports say he still owes 5,000 euros in back taxes. It comes as a gift to the opposition Socialists in an election year, with the latest opinion polls showing them edging ahead of the ruling coalition. 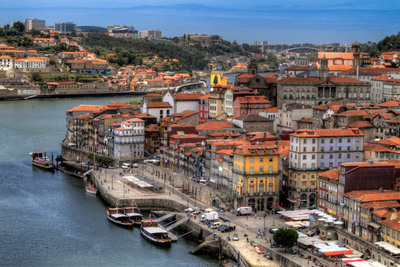 As Portugal’s economy shows modest signs of recovery, unemployment is falling and property prices are on the rise, according to a January’s monthly survey by the Royal Institution of Chartered Surveryers (RICS). The RICS survey shows that, for the first time in five years, buyer demand in the sales market is increasing and showing signs of accelerating. They expect the prices to continue to rise over the next three months, but stop short from commenting on whether this indicates a full recovery. As often happens, the impact of the price rises is regional. For example, the report states that Lisbon and the Algarve are seeing prices climb, while in the Oporto region, prices are more static. And, it’s worth noting, that while people are hopeful of a change of circumstance relatively soon, rents are still falling at the moment.